We’ve just received delivery of a very exclusive wheelset, the KSYRIUM 125, Mavic’s limited edition road wheel celebrating the company’s 125th anniversary. 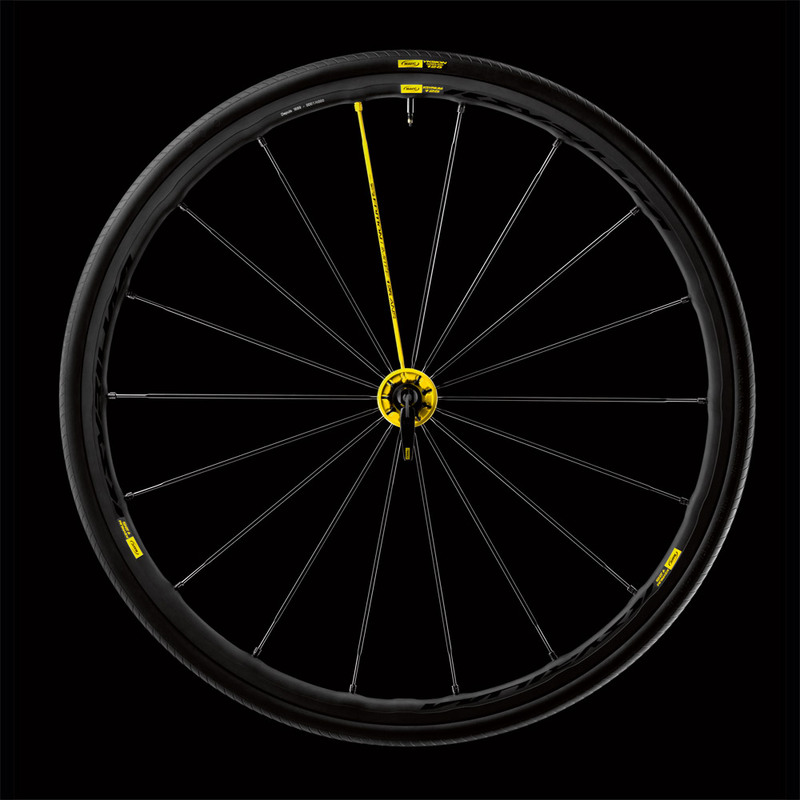 For those of a technical mindset, here’s what Mavic have to say about the wheels: “Ksyrium 125 is the perfect synthesis of 125 years of Mavic expertise on light, stiff and reliable Wheel-Tyre System. It introduces for the first time the most advanced version of our rim weight saving technology: ISM 4D. Weight : 1370 grams (pair of wheels). For the rest of us, these are a remarkably attractive set of wheels that will bring an added quality to your ride. They retail at £1,100. This entry was posted in Latest News on August 28, 2014 by pedalsportclub.